Now, this is news from the Republican National Convention. 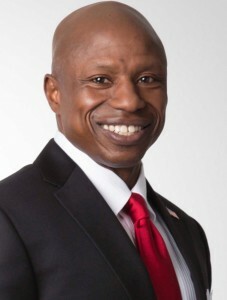 Can Darryl Glenn connect with a national audience the way he hit the ball out of the park at the Colorado Republican Convention? We’re going to find out next week. Glenn was selected to speak among an elite group of Republican luminaries in Cleveland, including Speaker of the House Paul Ryan, Senator Ted Cruz, Wisconsin Governor Scott Walker, and of course Donald Trump and whomever his vice presidential nominee will be. This is a great feather in the cap for Glenn, and something for Colorado Republicans to be proud of. We’re sure that Glenn will have an uplifting and inspiring message for the country when he gets his moment on the state. This is also a boon to the Glenn campaign, which has struggled somewhat with name ID along with his competitor, incumbent Democratic U.S. Senator Michael Bennet. This may also help send needed cash to Team Glenn. Although, to be honest, the guy won a five-way primary with about $3 (approximately). Glenn’s so inspirational, he doesn’t even need the cash. Bennet, on the other hand, needs all the cash he can get. The crowd will love him. But, will it help him get money?